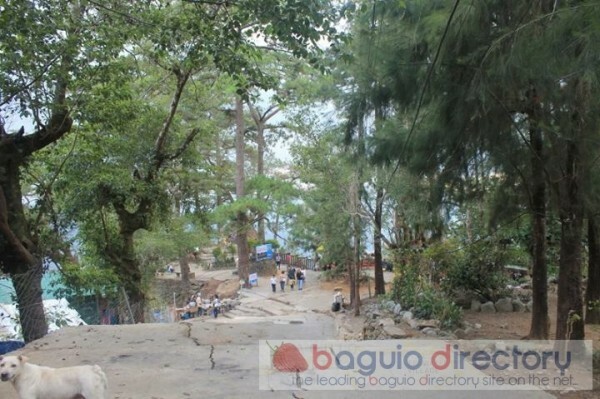 Are you going to visit Baguio this summer and you want to find out the best tourist spots around? I suggest that you include the Mines View Park in your list. Usually, if you are going to visit Wright Park and The Mansion, you cannot afford to miss this popular destination in Baguio as well. When you go to Mines View, you will surely enjoy the scenery of the Cordillera Mountains and Benguet’s copper and gold mines from the observation deck. Before reaching a beautiful spot where you can enjoy sight-seeing, you have to pass through the winding stone stairway near the parking area. Just be careful when going up or down these stairs as they can be slippery especially after the rain. When you reach the deck, you can take rest on the benches, and from your spot, you can already enjoy the panoramic view. To enjoy the scenery more, you can also rent a binocular. There are lots of them available around at very cheap prices. If you have forgotten your digital camera, or you want an official tour picture, you do not have to worry because there are many commercial photographers around. You will also love dropping by the silverworks and souvenir shops by the park. Here, you can find affordable and special pasalubong for your loved ones at home. Among the sold products are wood carvings that remind you of the culture in Benguet. You can also find here the popular Baguio-made blankets, sweaters, and baskets. Locally created silver jewelry can also be bought here. If you are hungry and you want some snacks, just go around the park and you will find lots of street vendors, snack stores, and canteens from where you can buy food and drinks. Strawberry products like jam are also available here. To be able to completely enjoy your visit to Mines View Park, I suggest that you go there in the morning before the fog starts covering the sceneries. Also, make sure that you avoid the rainy season, so you will not shiver in cold while touring around.